The Sheds in Whitby District have two published poets in their ranks, Roger Gould and Brian Cuffley. They are part of our intelligentsia because they can write! 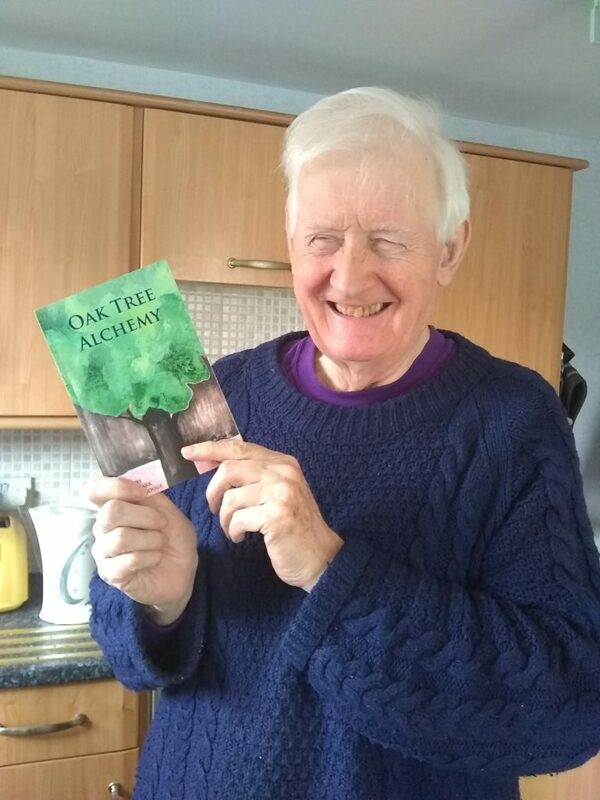 They are published in a new collection entitled “Oak Tree Alchemy” under Coverdale Books. You can obtain through Roger, Brian or Amazon. 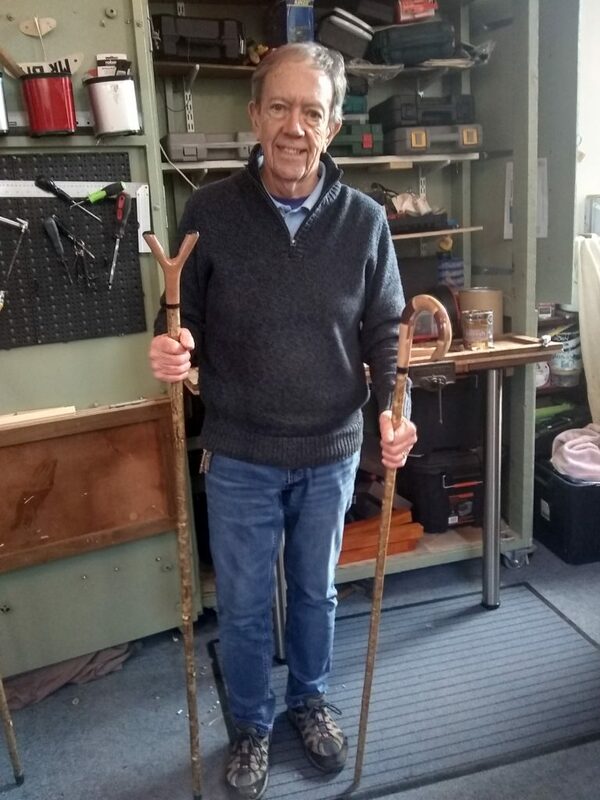 Shedder Bob made sticks (grown locally!) for the High Sheriff of North Yorkshire following his visit to Littlebeck Shed. It is pictured below. We are not sure what the technical term for Bob is – maybe it is simply stuck up!